This post was written by Thomas Carter, founder of DealBox, a blockchain business accelerator and crowdfunding platform for startups. I’ve been raising capital for 30 years and know firsthand that the process is not an easy one. Entrepreneurs spend precious time and energy jetting between meetings with potential investors while simultaneously building their business. They squander meaningful bandwidth that could be better utilized developing their company instead of juggling all the complexities of raising capital. Even when the pieces are in place, funding terms can be downright predatory. I believe tokenization is a better way to raise money for your venture, and as the founder of a venture fund that uses tokenization to capitalize startups, I’ve seen firsthand the advantages it can provide entrepreneurs and investors. It’s a method that actually increases liquidity for investors — which means more efficient access to capital for entrepreneurs — and adds to a company’s value without massively diluting founder shares. Here’s how it works: Blockchain is the distributed public ledger technology behind popular cryptocurrencies like Bitcoin. But blockchain has applications beyond the fly-by-night initial coin offerings (ICOs) you see in the crypto world — you know, the ones that have been overhyped, pumped, dumped, and shut down by the U.S. Securities and Exchange Commission (SEC). Entrepreneurs can use blockchain technology to securitize the value created by their companies with a security token offering. Tokenization, unlike ICOs and cryptocurrencies, has been vetted by the SEC and is slated to become a major part of the entrepreneurial economy. 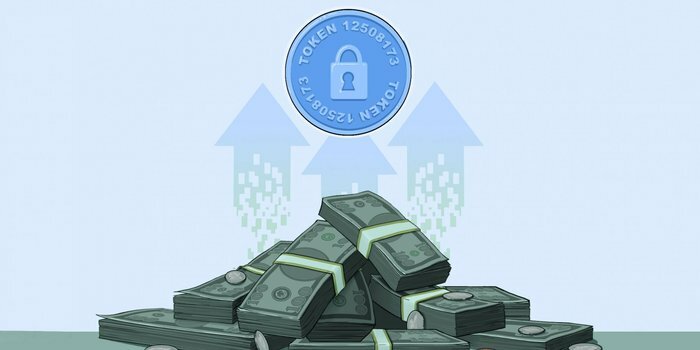 With tokenization, a company creates its own digital securities, backed by the company’s other assets, and then allows investors to buy these digital securities to fund their raise. Because the tokens reflect the company’s total asset value, their price moves relative to the company’s success and is rooted in fundamental valuation metrics as opposed to pure speculation and use case, as is the situation with cryptocurrency and utility tokens today. That means investors have a claim on a real portion of the company’s assets, just as if they owned traditional securities created by the company. The big difference is that digital securities are far more liquid than current private company securities like phantom stock, convertible notes, or other equity instruments, as the development of security token exchanges progresses. Some of the largest liquidity pools on the planet are deploying meaningful resources to create these exchanges of the future. They’re also far more friendly to founders than traditional funding options. Instead of hustling for funds, founders get to focus on their companies. While emerging technologies like this are exciting, they are often met with apprehension on the front end of the adoption curve. Most notably, the director general of the Beijing Municipal Bureau of Finance recently announced that Beijing will not allow for financing through this method. It is important to realize China has a “restrict first, adopt later” stance on new business and technology, so it remains to be seen how greater China begins to adopt the security token economy. As of now, if you’re domiciled in Beijing, this funding method may not be appropriate. That being said, legitimate success cases can be found right here in the United States. Currently, Overstock.com has issued a successful and regulatory compliant security token through its “tZERO” token. The result is a whopping $134 million in funds raised. As of the third quarter of 2018, tZERO was valued at just over $1.5 billion. Tokenization increases the enterprise value of companies. Tokens created by a company have real value and reflect the value of other real assets owned by the company as dictated by the token architecture. The tokens can be traded on exchanges, and rise and fall with a company’s prospects just like traditional securities. Because tokens have value on their own, they increase the size of the overall asset base and are factored into a firm’s enterprise value. It’s an outcome that makes investors, founders, and markets happy, which is why tokenization is used by healthy, established companies like Overstock.com to create even more value for shareholders. Better liquidity for investors translates into more capital for companies. Traditional investing is not for the faint of heart. If you put your money into a real estate investment trust or a venture, you may not see returns for five to seven years (or more). Tokenization, however, offers far better liquidity. Multiple exchanges exist on which to trade company tokens, and the blockchain-based ecosystem grows bigger by the day. Thanks to the technology’s adoption, plenty of investors and cryptocurrency enthusiasts are on the other end of these transactions. That means ready buyers and sellers for tokens, which translates to more liquidity for investors. This also means more capital for founders because more investors are attracted to investments that don’t require locking up capital for half a decade or more. It sets founders up for success from day one. Entrepreneurs are great at creating winning products and services, but often they’re not adept at treating their business like a product that needs to be well constructed, which is essential when raising capital. Tokenization helps here, too. During the tokenization process, entrepreneurs must pay close attention to how their company is structured and how they’re capitalized. On the deals we help architect, tokenization necessitates that companies be structured (or restructured) in sensible ways. This has a number of positive effects for both founders and investors. By utilizing revenue share or royalty models for their digital securities, founders are adequately capitalized, so they reap the proper rewards from a sale or exit. This places the company in a far more attractive position for potential buyers from day one because it’s professionally and intelligently structured. Capital partners are also structured properly for exits. It turns out when you remove the inefficiencies of the traditional fundraising process, entrepreneurs have the time, energy, and resources to structure and grow their companies the right way. Tokenization mandates a smart structure from the get-go, whether it be for an established business or a newly minted startup. Capital can be raised without dilution. Tokenization creates digital assets that are sold to fund the company. These assets create an additional layer of enterprise value, on top of the company’s existing assets and capital stack. This allows founders to fund their ventures without diluting their ownership of the assets that back tokens. Founders can also raise funds without dilution by utilizing a digital revenue share or royalty structure attached to the digital asset itself. This is revolutionary because the business can issue these constructs using a liquid instrument as opposed to the existing, predominantly illiquid, model. Investors benefit as well. Token value should grow in lockstep with company value, as they should be valued according to the discount model of their distributions and financials, which should provide investors more predictable returns. Because tokens can be traded and exchanged, investors can realize returns far sooner, unlocking far more liquidity and potential gains than they otherwise would through traditional equity. It’s similar to a preferred share of stock in the sense that it has a principal value and a distribution component; however, it doesn’t necessarily require owners to give up equity. Bottom line: Tokenization offers real benefits for both founders and investors by creating healthier companies and healthier returns. It’s a process that makes dollars — and sense — for all participants.